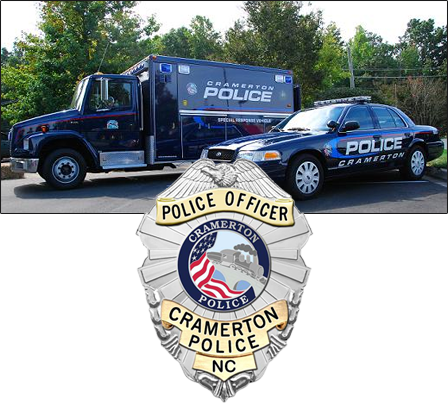 The Cramerton Police Department’s motto, “To Protect and To Serve; A Community Commitment”, states the essential mission of the department. The department protects the rights of all persons, within its’ jurisdiction to be free from criminal attack, to be secure in their possessions and to live in peace. The department serves the people of Cramerton by performing law enforcement functions in a professional manner, as it is to the people of the Town that the department is ultimately responsible.